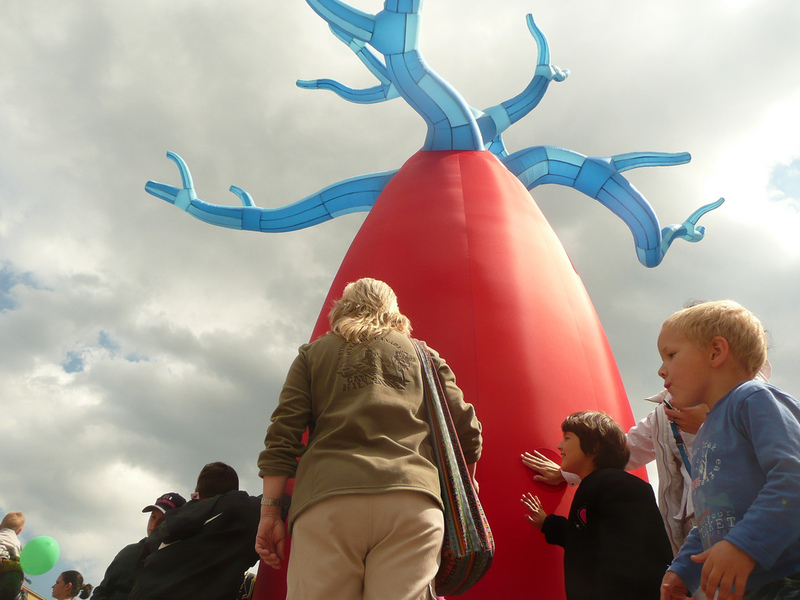 Baobab is an interactive inflatable installation. 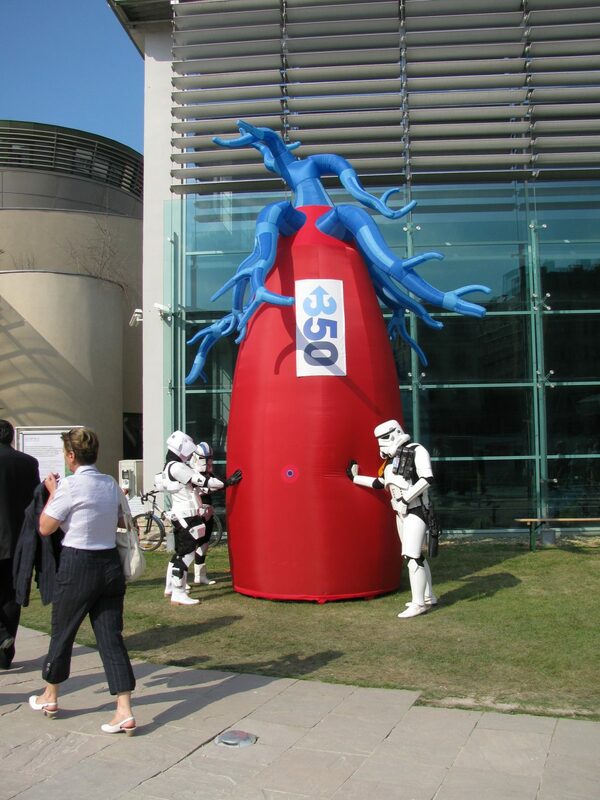 The aim of the artwork is to attract people’s attention to their individual responsibility and respectively to collect messages from local communities and pass them on to the decision-makers of the world. 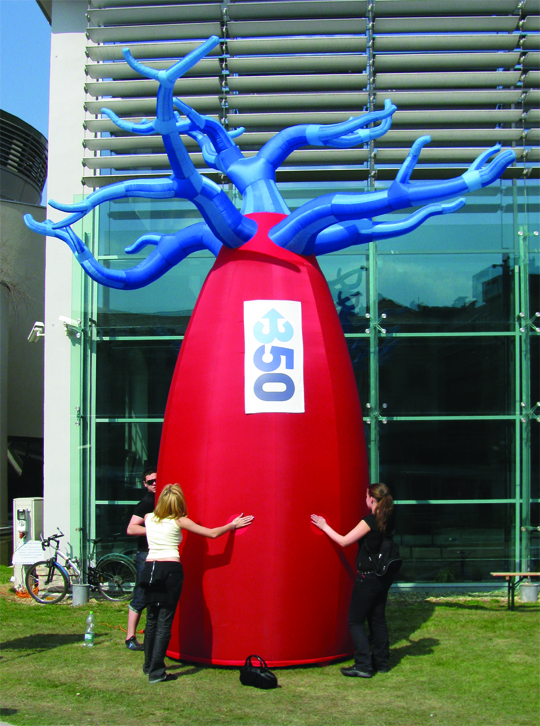 The Baobab started its campaign tour in Central Europe in December 2008.